Editorial: The Minis – are they really worth it? The news that LG has just announced the LG G2 Mini ended up getting an interesting comment on our Google Plus Page. 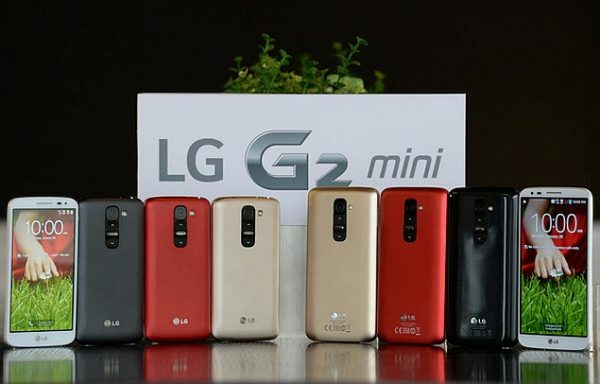 LG (like Samsung and HTC) attempt to confuse buyers by launching a mid-range phone but naming it to make it look like a smaller version of a high end phone, thus causing buyers to be frustrated at Android and thus perpetuating the myth that Android is slow and lacking in storage for apps. This practice is really annoying me, hence my next phone will probably be a Sony Z1 Compact which is how a ‘smaller’ version of a phone should really be done. Bryan maks a very valid point, and we definitely agree. However, I am struggling to think of an example where a tech product with the name ‘mini’ attached to it actually impressed. Yes, we have the example of Sony Z1 Compact, but even that really isn’t called the Sony Z1 Mini. The mini trend was started by Samsung, and in many ways they started a trend by creating a Samsung phone that was merely a shadow of the name it carried. The concept was simple. Take a popular phone, attach the word ‘mini’ to it, make it cheaper, and let the name sell it. A lot of brands use it, but is it really fair to the consumer? Android is available in both high end as well as low end phones. For a beginner who has no experience of Android, the mini, or the cheaper phones offer a more attractive package with Android on them. The first thing most of these users experience is that the battery life on the phone is fairly poor. Depending on the device, the second thing the users will experience is that Android is a bit slow. This happens because manufacturers like Samsung and HTC tend to put on their own custom UIs on top of Android. While this may improve experience, it does use up resources, which means that the phone runs slower than it would if it didn’t have the additional software. Other elements that then become noticeable are mediocre cameras, a poorer display, and sometimes even poorer materials making the device a bit disappointing. This can then often then end up people thinking that Android is a poor OS, or Android devices are poor. In many ways, Android has the same problem as Windows has had for almost the last two decades. Windows can be installed on any old device, but that means it often ends up leaving a bad taste just because it has been installed on poor hardware. A hard one really. Ideally, you want manufacturers not to use the word ‘mini’ attached to a popular phone. If they do, they probably need to highlight what the mid or low range hardware choices will actually mean for the consumer. Then again, why would they do that, since that would only make it a harder sell. On the other hand, having a low or mid range is a good thing for Android. It offers people the experience without them having to spend a lot of money. You do have phones such as the Motorola Moto G which make a great impression of Android, with mid-range device specs. I suppose there are no winners with this one. As long as people need mid or low range devices, phone manufacturers will make them. People will always need them, because not everybody can afford to get a high range device. Just because they are not getting a high end device, doesn’t mean they can’t get one which sounds or looks like a high end device, with certain sacrifices in the hardware. Just because people will be willing to buy such devices, manufacturers will keep making them. Next story Samsung announce the Gear 2 and the Gear 2 Neo – Next Generation of smart watches! As the person who started this, I have to agree. I’m all for manufacturers making high, mid and low end handsets but this Mini trend is simply misleading. Samsung and HTC in particular are just confusing their customers with too many handsets and very little clarification about the differences.